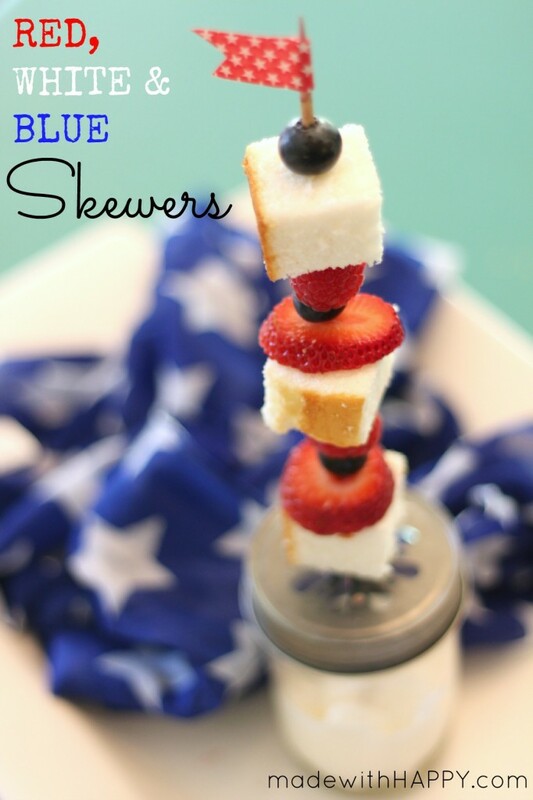 with these fun Red, White and Blue Dessert Skewer. 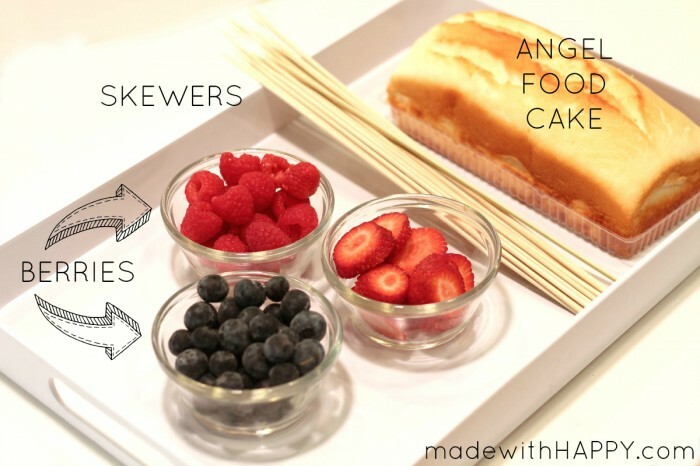 Using either home made angel food cake or make it easier (store bought) – Yep, I said it! 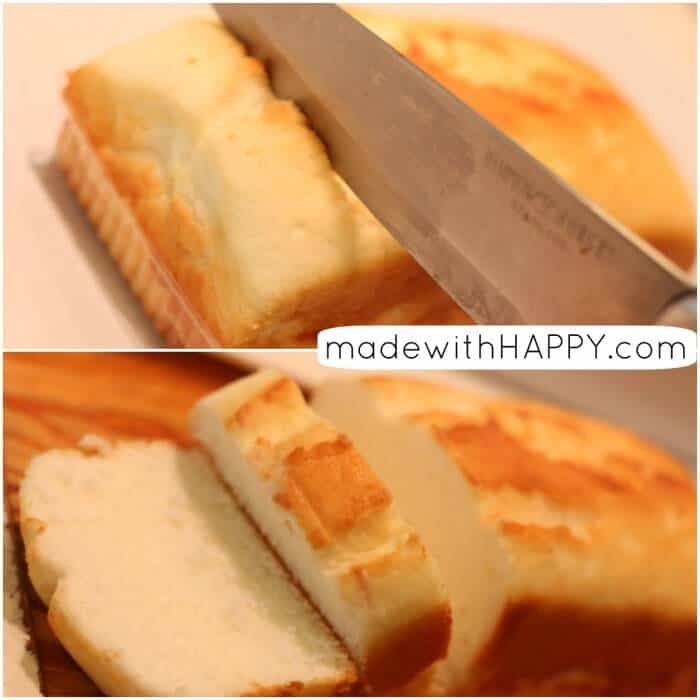 Cut it into square pieces approximately 1 inch thick. 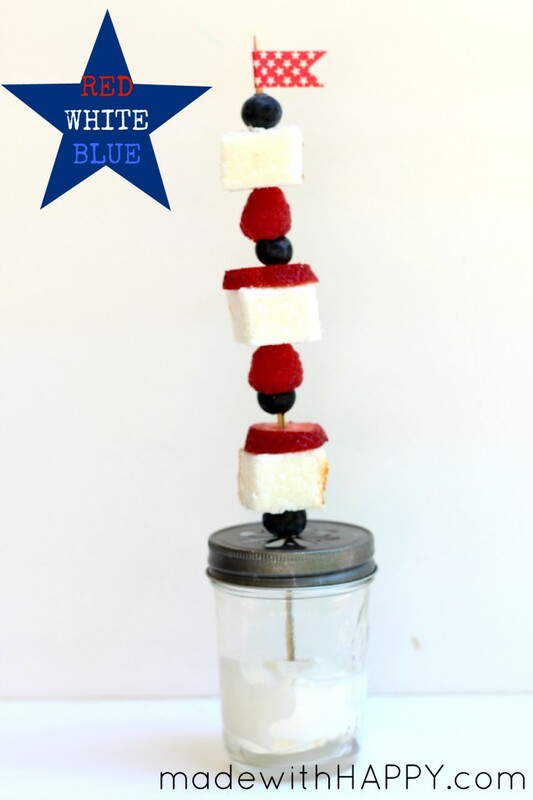 Skewer on the cake and the berries in any particular order.
. 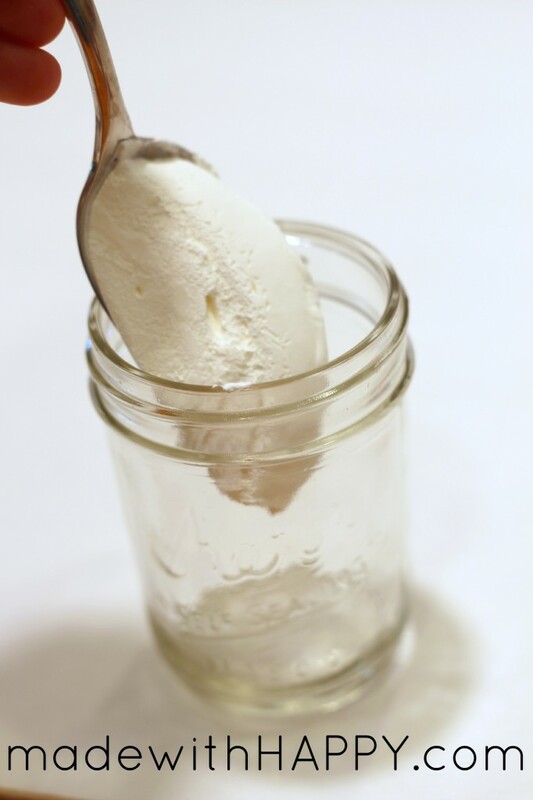 Fill the jars with a dollop of whip cream and attach the lid. If you don’t have the cute jars, make sure to set out a bowl of whip cream for your guest to dip their fruit it. Definitely adds to it. There you have it! They are delicious and extremely festive. Great for Memorial Day, Flag Day or the 4th of July. Love these! 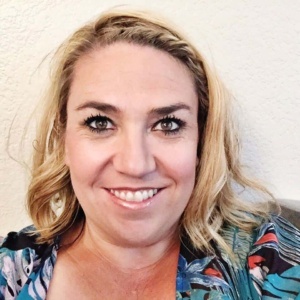 And thanks for linking up, friend!! Yum! 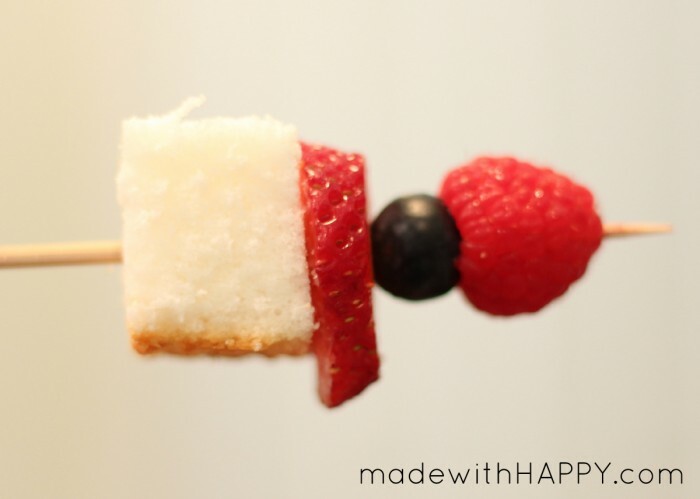 Such a good and easy treat to bring to a picnic or potluck! Love it!! These are adorable, and I love the little jar of cool whip at the bottom!